● Free shipping is available on most items. Look for a “Ships Free” note on individual product listings. ● Shop the Outlet Store to save up to 75% on featured items. ● Browse the Used Gear and On Sale sections to take up to 50% off your order. ● Don’t forget to check the Daily Deal for savings usually ranging 25-40%. 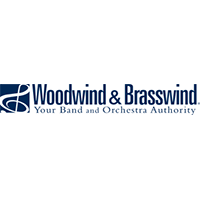 Woodwind and Brasswind carries a full line of wind instruments, parts and accessories. There is a banner at the top of the homepage that visitors can click on to view all the discounted items that are available. There is a toll free number for customer service that visitors can use in case they have difficulty in finding what they need. On the left side of the home page there are categories that can navigate users quickly to specialty areas that offer savings. There is also a learning area called the “music room” where visitors can search for information. For most up to date offers check out Woodwind And Brasswind on Facebook and Twitter or contact Woodwind And Brasswind Support for any questions.